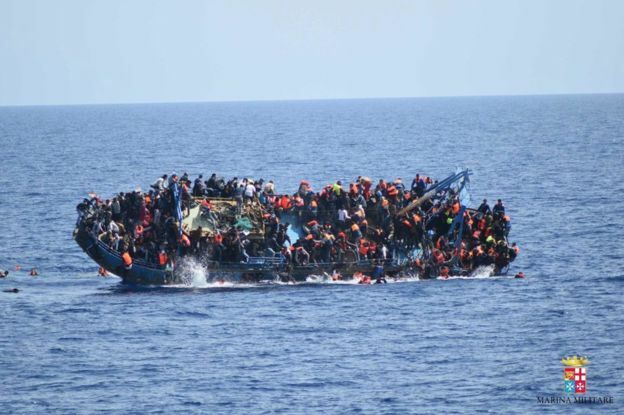 Lord, today we pray for the crisis unfolding off the coast of Libya. With hundreds of migrants dead in the past few days alone, due to attempting to reach Europe in unseaworthy vessels, we are just overwhelmed by the loss. And to hear that 13,000 were actually rescued in the past week… the numbers of people seeking safety and better lives in this part of the world are staggering! Lord, we pray for those who comprise the multinational patrol of ships monitoring these waters. May they be effective, diligent, and stout of heart. We pray for the migrants who are so desperate that they risk their own and their families’ lives, that they would make wise decisions, and that they would be able to identify when someone is taking advantage of them before it is too late. We pray for the governments of the nations where people feel the need to flee, that those leaders would address the crises that are driving their people to such desperation. Lord, the situation is so overwhelming, but we know you see and know all, and that you have seen “everything under the sun” since the beginning of time. Please intervene in this crisis, and save souls in the midst of saving lives. We pray in Jesus’ name, amen.